While working on our project "Sisters of Craft", we have traveled to many very remote places around the world, in order to find some traditional weaving and the power has to connect people and to keep traditions alive. 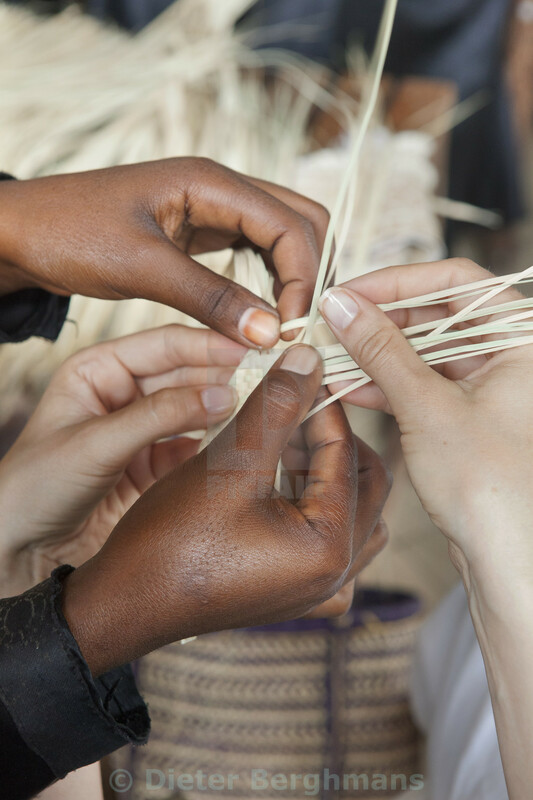 In this photo it were the hands a very experienced african weaver, teaching a white lady on how to do it. This photo is like a symbol of culture and the connection of different culture. Especially in days like today with the huge refugee crisis that rages in Europe.